These pieces don’t actually represent an interior structure, they just serve to support the roof assembly and allow me to include the tower spirets on the corners. 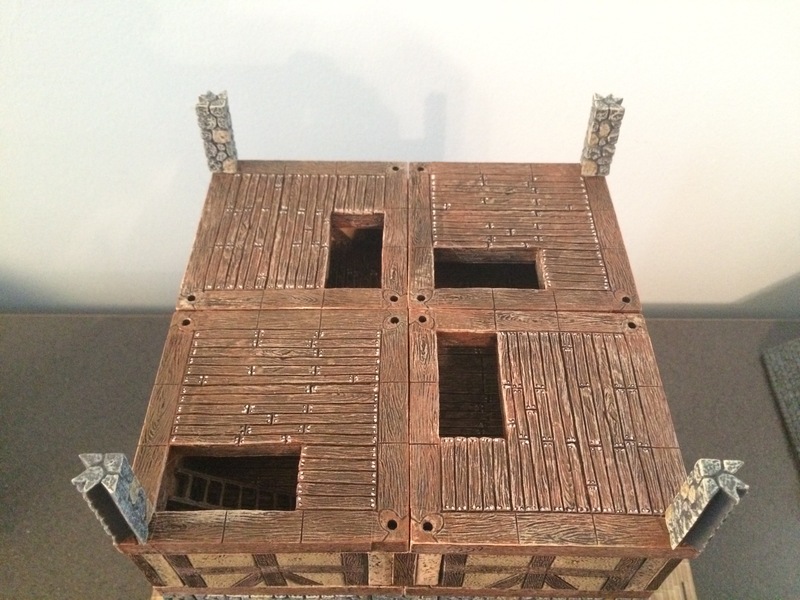 I used whatever floor pieces I had left over which is why it is made up of four pieces with stairwell holes. I did, however, put one of the stairwell holes in the lower right corner there intentionally–this represents the hole in the ceiling of the attic that heads out to the roof.